Hybrid electric cars can be very intimidating, they incorporate a gas engine and an electric motor for optimal fuel economy and performance. The gas engine runs to recharge the hybrid battery, the electric motor runs to save gas, and a handful of computers work together to make this all function seamlessly. Your Toyota Prius has an electric AC compressor which runs off of the high voltage system. Servicing with a standard AC machine can cause thousands of dollars worth of damage. So what happens when something goes amiss in your Toyota Prius, Lexus Ct200h, Honda Civic hybrid, or Ford Fusion hybrid? Call the pros at Highline Car Care. Our technicians are familiar with the complex electric systems found in modern hybrid vehicles. We understand what an auxiliary water pump is, or why the triangle light on a Prius illuminates to tell you there is a hybrid malfunction. We are familiar with the complex regenerative braking and ABS systems as well. Remember, you can DIE if you stick your finger on the wrong cable of a hybrid vehicle! Leave this stuff to the pros. Your hybrid or electric vehicle is very similar to its all gas counterparts as far as scheduled maintenance goes. Check out our recommended maintenance interval services here. Remember these are just our standard recommendations. Every hybrid vehicle has its own specific and unique needs. 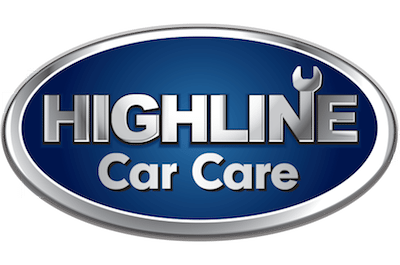 If you haven’t been to Highline Car Care before, give us a call! 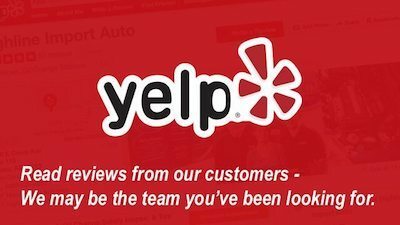 We will be happy to schedule a time to perform a thorough inspection and offer our service recommendations based on the exact condition of your hybrid vehicle. This is the only way to ensure a consistent value that will keep you and your car happy for years to come. This is where your hybrid is unique from its gas relatives. Hybrid inverter cooling system – The inverter is responsible for turning 12v power into a substantially higher voltage in order to run the hybrid electric motor. It creates a lot of heat during this process, and needs its own cooling system. The inverter cooling system relies on an electric water pump, heat tank, coolant control valve, and its own radiator. Failure of any one of these items will result in an illuminated triangle exclamation sign and a vehicle that will not start. Hybrid converter – Built into the transmission, this chunk of technology is responsible for propelling the vehicle and recharging the hybrid battery. The converter, or transmission uses an advanced transmission fluid to keep everything lubricated and functioning smoothly. A failed converter can cause horrible screeching noises and will eventually leave your vehicle immobile. Hybrid battery – This is the item we have nightmares about at night. A failed hybrid battery can cost upwards of $4,000 to replace. There really isn’t much you can do to prolong its life. It’ll work just fine, until one day it decides not to. This will likely result in a red exclamation triangle and a vehicle that fails to enter ready mode. Hybrid Air Conditioning – The Hybrid AC runs off of the high voltage system. This means that your AC compressor is electric! The first of its kind on automobiles. It requires a dedicated hybrid AC machine in order to be serviced. A failed hybrid AC compressor can be very costly. Hybrid (Prius) failed navigation system – The Toyota Prius navigation system is prone to failure. A black or blank navigation screen, or an unresponsive screen can crash your entire navigation system. Read about this specialty service offered at Highline here. Toyota Prius instrument cluster failure – The Toyota Prius instrument cluster is prone to failure. Your speedometer may fail to illuminate and cause an unsafe driving condition. Your instrument cluster will need to be replaced if this occurs. Toyota Prius engine consumes too much oil – This will happen on higher mileage Prius (usually after 200,000 miles). The piston rings fail to seal as they used to, and excessive oil consumption will occur. This is usually noted first by your technician if your car is 1 quart or more low on oil when you bring it in for service. In severe cases, you may also notice blue smoke coming from the tail pipe. In this circumstance, we have found it is most economical to replace the engine with a low mileage used unit. Toyota Prius ABS module failure – Watch the video below to hear the symptom of a failing ABS pump module assembly. This will eventually result in an ABS and Skid control light being illuminated on your dash. Your ABS module will need to be replaced if this happens. Is your hybrid electric auto in need of service? Fill out this form below and schedule your appointment with Highline Car Care. Your completed form is sent directly to our owner, Wes Hawkins, from there we will reach back out to you and come up with a time that works best for your schedule.